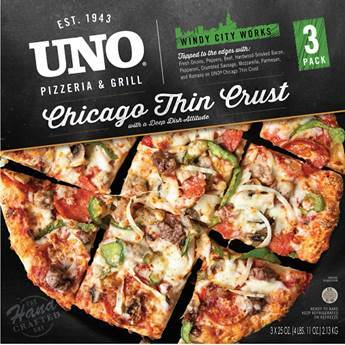 As the inventor of Deep Dish pizza in 1943, today the Uno brand has a global presence represented through over 130 restaurants and the Uno Foods label found in cafeterias and supermarkets nationwide. Our 40,000 sq. ft production facility in Massachusetts is USDA certified, GFSI certified, and CN Label approved with onsite USDA supervision. All Uno Foods items are made in small batches to maintain quality and consistency using all natural dough, sauce and cheese. Hand Crafted, Premium Quality Pizza. Uno Foods, our consumer product division, began in the basement of one of our Boston restaurants in 1988 and has grown into its present day establishment. 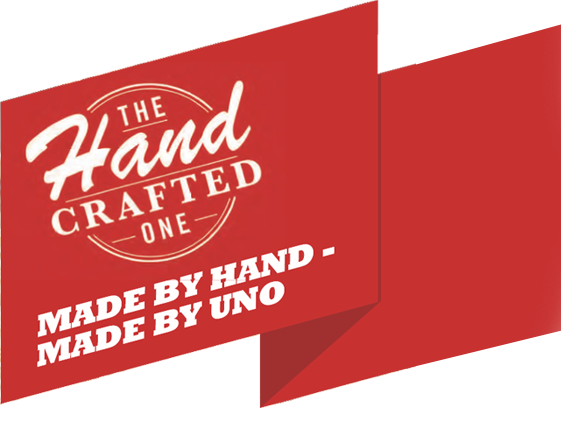 All of our products are made by hand using the same ingredients as our Uno Chicago Grill restaurants and following the same recipes that have made us famous throughout the world. 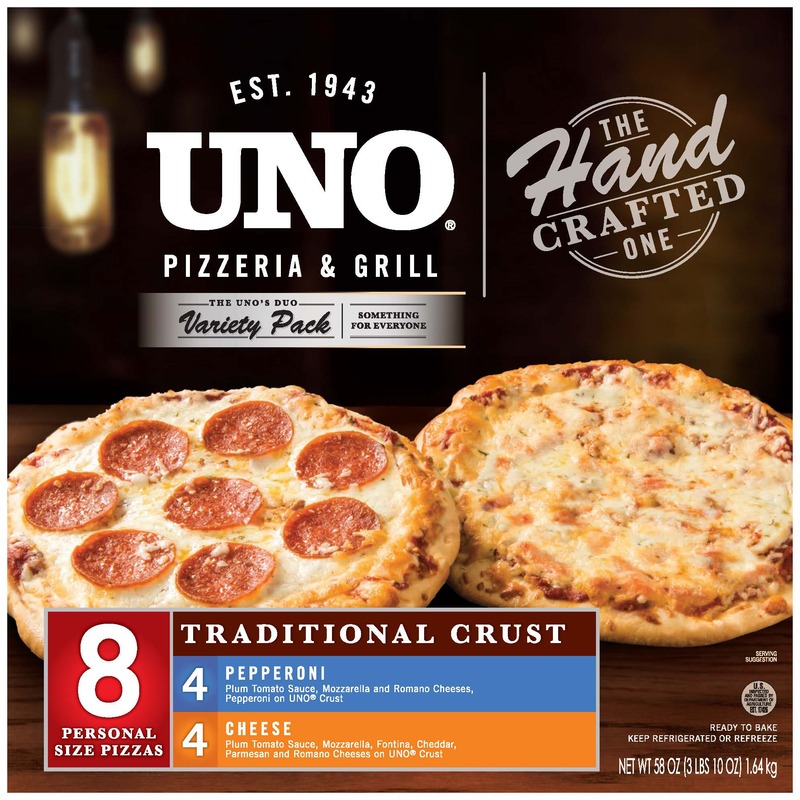 The Uno tradition began with the legendary Deep Dish pizza, invented by Ike Sewell, and has evolved to include hand-tossed pizzas, calzones, self-rising, whole grain and more. Today, Uno Foods provides Uno-quality products that are sold in over 6,000 grocery stores, c-stores and served in hotels, stadiums, airports, schools, and movie theaters across the country. Certain activities provided via this website may be covered by U S Patent 5,930,474.